Mike Mignola is on the short list of creators whose work inspired me to get back into comics. After years of being sick of Marvel and DC (especially after Marvel’s Onslaught thing and the whole Amalgam deal in the 1990s), I stopped reading comics for a long time, and I make no secret of my complete lack of interest in the “mythology” of superheroes (can I write that word?). Then, in college, I was introduced to Mignola and other creators (such as Alan Moore) who offered an alternative to what comics could be about. And though it took a bit to get used to Mignola’s style, once I read Hellboy I was instantly hooked. It was equal turns dark and humourous and was inspired by much of the same source material which I myself enjoy. So when Mike Mignola announced through his social media networks that a new Hellboy film was in the works, you figured I’d be ecstatic. The thing is, the whole thing is coming out of left field, it would seem. It was only at the beginning of this year that Guillermo Del Toro tweeted that he had spoken with all the involved parties about a possible Hellboy 3 and that he “Must report that 100% the sequel will not happen. And that is to be the final thing about it”. Given, to be perfectly honest, both Ron Perlman’s roles and Guillermo Del Toro’s films have been sort of hit or miss with me (though I’ve heard nothing but fine things about these two gentleman). I loved Del Toro’s Cronos, hated Blade II and was both amazed and disappointed with Pan’s Labyrinth–the latter likely because all of the marketing compared the film to Lord of the Rings; it’s nothing like it, though it is good in its own right. 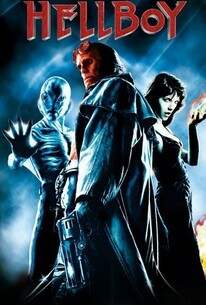 As for Perlman, his Blade II and Alien: Resurrection appearances weren’t great (though, to be fair, that could be because both films weren’t great either), but his Hellboy was spot on and, even though it’s a decent film at best, I did like Season of the Witch (you might even see a little influence in Chadhiyana: In the Company of Shadows there). 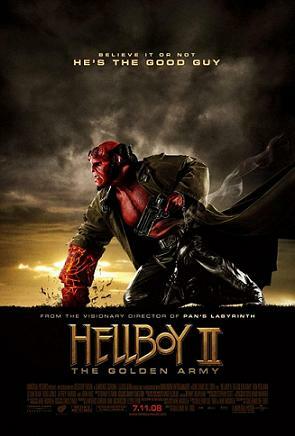 But the first two Hellboy films (minus the love story deviation, which I was willing to chalk up to a Hollywood compromise to get the films made) were good. So, like most of those who enjoyed the first two Hellboy films from Guillermo Del Toro, this recent news has me more shocked and off-balance than excited, and add to that a little bit of my scepticism. What troubles me even more than removing a visionary and capable director and a man who was born to play the role just to re-boot the franchise (I hate reboots), are Mignola’s words about the project: “There IS going to be another HELLBOY MOVIE. It’s going to be an R rated reboot…” (from his 9 May, 2017 tweet). It’s that phrase. R rated reboot. Again, I don’t like reboots, but more than that, it’s the “R rated” bit. What bothers me about it is (and I have similar misgivings about words surrounding Netflix’s upcoming Castlevania series, which I’ll be writing about soon enough) I don’t know why, in the context of Hellboy, R rated is a selling point. I have nothing against R rated films, but I feel like Mignola had to throw that in there just to get a bit more interest in the fact that the third film which everyone had been hoping for wasn’t going to happen at all, and we should be excited about this better, R rated take on the Hellboy universe. Now, given, I completely understand that Mignola is probably excited about this, and that he is trying to continue building Hellboy into a widely successful independent comic character (and we should all be grateful for that, and indeed I wish I had his problems), but there is something that seems a bit off-putting about the whole thing at this initial stage. Of course, in the end, it’s all too early to say much about this. I will add that I’m certainly interested to see David Harbour’s (Stranger Things’s Police Chief Jim Hopper) take on Hellboy. 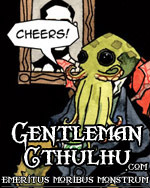 And I won’t deny that a closer adaptation to Mignola’s comics would be amazing (if it can be done). I suppose we’ll just have to see what happens in the coming months (and years?) as this develops.